The petition on Change.org seems like the work of an ambitious libertarian activist with a stuck caps lock key. "RECOGNIZE OUR CONSTITUTIONAL RIGHT TO OPEN CARRY FIREARMS AT THE REPUBLICAN NATIONAL CONVENTION," it says. 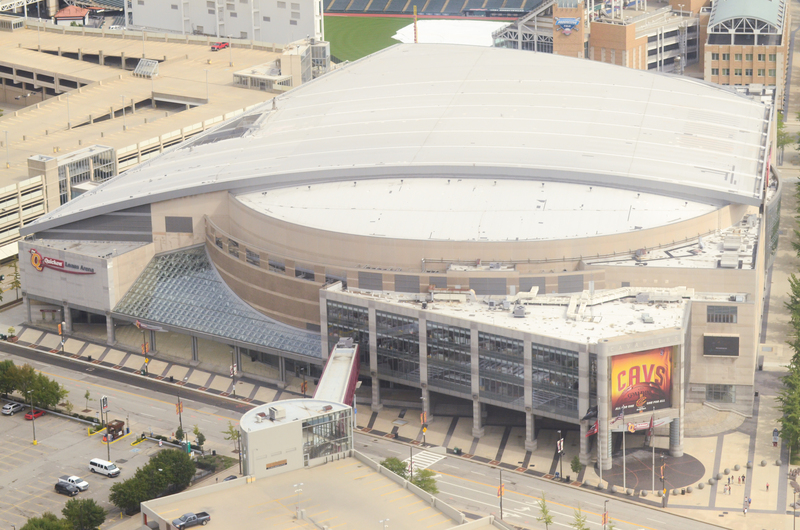 The Quicken Loans Arena in Cleveland, site of the convention this July, is a gun-free zone in a state, Ohio, where open carrying of firearms is permitted. "Gun free zones ... tell every insane killer in America ... (the) safest place to inflict maximum mayhem with minimum risk," the petition says, borrowing a line from the National Rifle Association. An image of an assault rifle is prominently featured atop the petition webpage. It calls on Republican presidential candidates to lobby their party to "rectify this affront to our Second Amendment freedoms and insist upon a suspension of the ... gun-free loophole." In the six days since it was posted, 50,000 people have signed the petition. Donald Trump said he would look into the petition's fine print. Reporters asked Ohio Governor John Kasich and Texas Sen. Ted Cruz Monday about the prospect of not just a contested convention, but an armed one. Over the course of the campaign, all three Republicans have expressed misgivings about gun-free zones. Kasich eliminated them at Ohio National Guard facilities late last year. In the wake of the mass shooting in San Bernardino, Cruz said, "If you're a lunatic, ain't nothing better than having a bunch of targets you know that are going to be unarmed." And Trump, who regularly boasts of his Second Amendment bona fides, said in January he'd eliminate gun-free zones at schools. On Monday, the often tight-lipped United States Secret Service, responsible for securing the convention, weighed in on the proposal. "Only authorized law enforcement personnel working in conjunction with the Secret Service may carry a firearm inside the protected site," spokesman Rob Hoback wrote in a terse missive. Privately, a federal law enforcement official conceded it was a "no brainer" to veto allowing guns in the arena and suggested it was laughable to even consider such a notion at all. That seemed like the end of the story - a non-binding Internet petition gets its 15 minutes and then fades away. But there was one question we wanted to know: Who was behind the petition? Its content led us to believe it was likely a conservative gun rights advocate who wrote the 800-word memo in hopes of stirring a grassroots movement. But the Internet is a funny - and often anonymous - place. There's no name attached to the petition, only the handle The Hyperationalist. A quick Google search led to a Twitter page (@Hyperationalist) and a blog with a Gmail address. I fired off an email, asking a bunch of boilerplate questions and included a plea for the Hyperationalist's identity. Around 7:15p Monday, the phone rang. "Hi, this is the Hyperationalist. You can call me Jim," the voice on the line said. A few things you should know about Jim: He declined to disclose his last name or any potentially identifying information, but I was able to corroborate his identity as the author of the petition with an employee of Change.org. Jim wouldn't say where he lives, only that he has roots in Philadelphia and works in the public health sector. Jim is a self-described liberal Democrat who intends to vote for Hillary Clinton should she become the Democratic nominee. He isn't affiliated with a campaign or any advocacy group, but did some volunteer work on Barack Obama's 2008 presidential campaign. Jim is no fan of guns and he's "pretty passionate" about his activism, he says. Jim says he wrote the petition knowing it was somewhat preposterous -- that law enforcement would never allow the Republican presidential candidates inside an arena with potentially thousands of armed individuals. "There were never going to be guns at the convention. Not a million signatures were going to make that happen," Jim said. But he also knew that if the Republican candidates sincerely meant what they have been saying about expanding Second Amendment rights, it would logically follow that they should support a move to allow firearms at the convention. "If they can't live in accordance with the policies they impose upon us, they owe us that rational conversation," Jim said. He continued, "I thought, 'How do we square how unsafe they're going to be with what they say makes them safe?"' The petition was born. "I take them at their word," Jim said. "[Open carry is] a state law in Ohio. I don't want them to have a terrible event happen [at the convention] and then say if it hadn't been a gun-free zone, fewer people would have died." Max Burns, a spokesman for Change.org, said support for the petition shot up dramatically over the weekend and it's still going strong. So is the petition satirical? Jim says not exactly. "I'm 100 percent sincere in my conviction that guns should be allowed at the GOP convention. [It would be a reflection of] the policies they sought to impose around the nation." He balked at the suggestion he was an Internet troll, arguing the petition is a genuine political statement. Jim also mused on the logic of why he - the gun control advocate - had to start the petition. "If they believe this so strongly - that gun-free zones are dangerous - why am I the one raising the stink," he remarked. "I think they should take up the cause. It would bring them up on intellectual consistency." Cruz and Kasich punted when asked about the petition Monday. Both candidates said they would defer to the Secret Service's judgment on the matter. Trump told ABC News he couldn't say whether he'd support the petition because he hadn't read it as of Sunday.